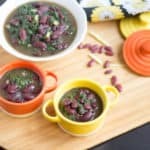 I am back with my Instant Pot Recipes. 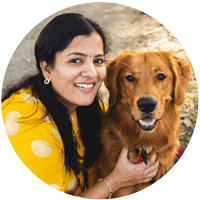 :-) As I mentioned in my previous posts, I started exploring other settings in the instant pot and also started preparing dry curries and stir-fry. When I saw “Quick and Easy Stir Fry” as one of the blogging marathon themes for this month, I picked it right away and decided to post all the Instant Pot stir frys that I tried. I love steamed or blanched stir fry. 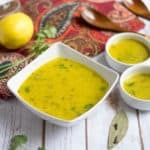 With instant pot steaming and blanching becomes so easy. So the next three recipes are going to be Instant Pot stir fry, and I am starting with the Mushroom Stir Fry today. 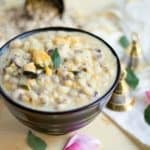 When I posted my first Instant Pot recipe (Walnut Kheer), I never thought that it would get so much love and support. 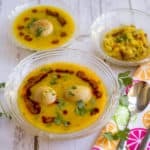 Both the walnut kheer recipe and Sambar recipe got mentioned here and here. I did not submit these for featuring. These pleasant surprises are always encouraging. Thanks to all the reader once again. Now back to recipe :-) I usually try to chop my veggies over the weekend for the entire week. I succeed 75% of the time, but I do fail 25% of the time. When I don’t have veggies chopped, I opt for the veggies that can be cut easily. One among them is mushrooms. 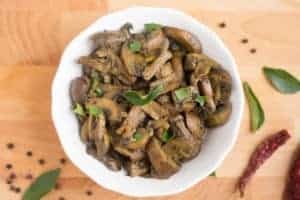 A pack of mushroom is not very hard to clean and chop and mushroom stir fry is a great side for both rice and roti, and you get your dose of protein too. (so many “and” right?) Between it’s a simple recipe too. All you got to do is steam the mushroom and sauté it with simplistic spices. 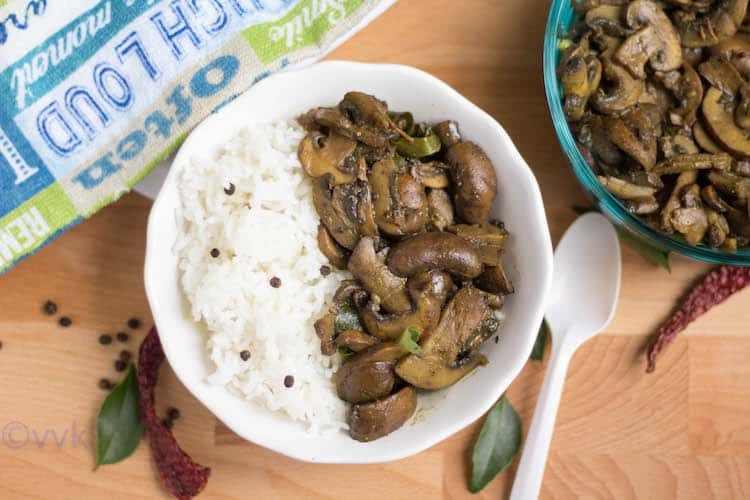 I used pepper powder (pepper and mushroom are inseparable) and Black Stone flower powder to get that chettinadu flavor. :-) But you can use any curry powder or garam masala instead of that. Amazon has the dried flower, so instead of the powder, you can use a small piece of the dried flower too. 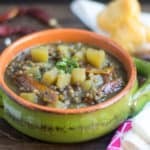 If you are looking for traditional mushroom gravy with fresh ground masala, please check out this recipe. Clean the mushrooms with a damp cloth and chop them. 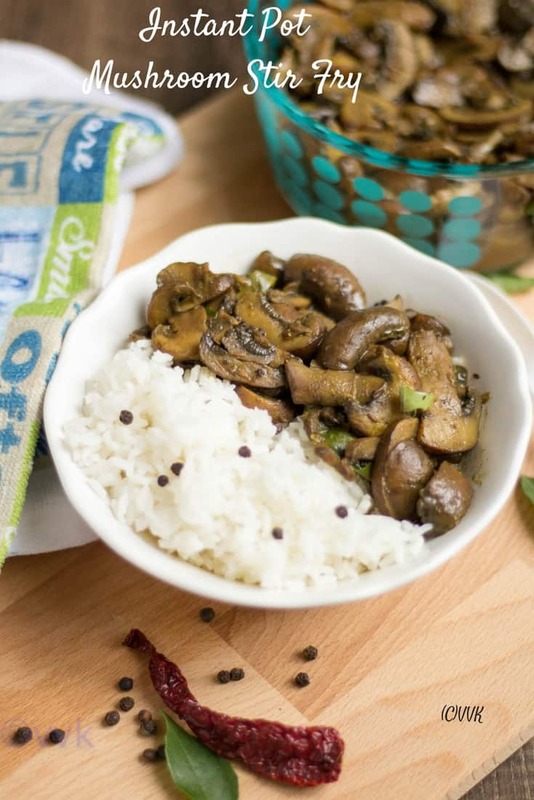 As they start to splutter, add the curry leaves and the chopped mushrooms. Add the dry powders – black pepper powder, Black stone flower powder, turmeric powder, and salt. Mix well and sprinkle 3 tbsps of water. Now change the Instant Pot mode to manual/pressure cook and set the cooking time for 2 minutes. Make sure the vent is sealed. Once the cooking is done and as soon as the IP beeps, carefully release the pressure by moving the vent to open position. Let it simmer in saute mode for 3 to 4 minutes until the water is all evaporated. If you prefer the gravy mushroom, you can skip this saute step and serve hot with roti or rice. That’s it. Yummy mushroom stir fry is ready. Heat a pan or kadai and add oil. Once the oil is hot, do the tempering and add the mushrooms and dry spices. Sprinkle water and cover and cook for 3 to 4 minutes until the mushrooms are soft and tender stirring for every minute. Then remove the lid and cook until the water is all evaporated. Instead of pepper powder, red chili powder can be used for spicing up this stir-fry. Also, black stone flower powder adds sweet aroma but if you can’t source it any curry powder or garam masala can be added. Steamed mushroom stir fry prepared in instant pot. A quick and easy side for rice and roti. As they start to splutter add the curry leaves and the chopped mushrooms. Add the dry powders – black pepper powder, Mace powder, turmeric powder, and salt. Once the steaming is done and as soon as the IP beeps, carefully release the pressure by moving the vent to open position. Also, mace powder adds nice aroma but if you can’t source it any curry powder or garam masala can be added. 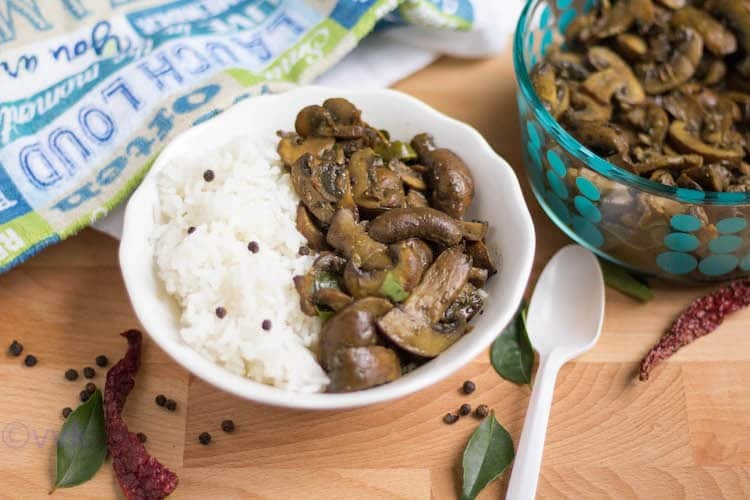 That’s a delicious looking mushroom stir fry Vidhya. I’m the only one eating mushroom in my house, so I will be making this for myself some time soon. 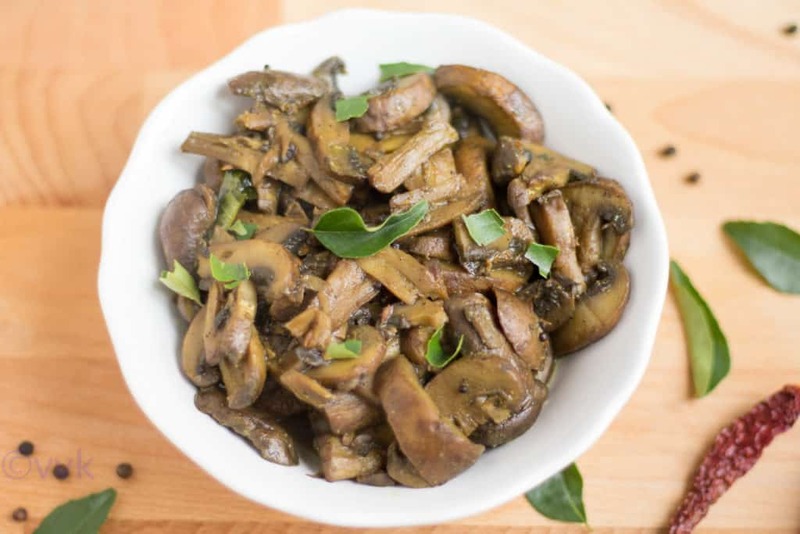 Mushrooms are my go to recipe whenever I have visitors at home, it is easy to prep and cook. I am yet to explore my instant pot to its maximum capacity. Stir fry has come out good. I am still deciding if I really need IP but the reviews are tempting me. A splendid preparation for mushroom lovers. Thanks a lot Harini. I love IP and its very handy. Simple instant pot stir fry looks inviting.. Nicely done.yeah it is a big time saver.I simply love it. Thanks Sarita.. I agree its a big time saver. this instant pot seems to be all the rage – a time saver for sure! I am a very big fan of ip and now I have to explore the steam function too :-). Thanks Vidya for the recipes and clear instructions! Me too a fan of IP. Thanks Rajani, glad you liked it. 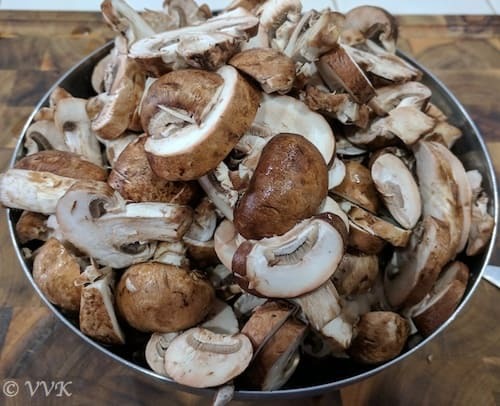 I do prefer mushroom on busy days.Easy to chop and be ready in minutes. Simple yet delicious stir fry. I guess this instant pot has got everybody over!..I am reading only about this everywhere..:0)..very nice one to make..
Thats a very quick and interesting stir fry, brilliant idea of making this stir fry in IP. Thanks a lot Vids.. I bet you will love the instant pot. such a simple and lovely dish.. Awesome! !